Maximilian sunflowers brighten the meadow. 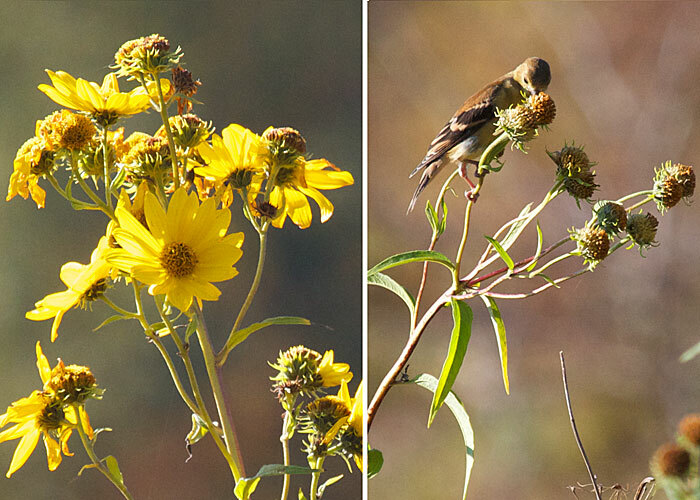 And when the blossoms are spent, goldfinches visit the seed heads. Tasty seeds. I took the photo on the left on Tuesday, and the one on the right, same plant, yesterday, one day later.